See base of story for updates from BBC and IAM. "However, cyclists can also be to blame, sometimes by breaking the law." The reporters then cited research produced earlier this year by the Institute of Advanced Motorists claiming 57 percent of cyclists jump red lights. When IAM released this survey data it failed to also add the number of motorists who run red lights (data the organisation gathered at the same time as gathering the cyclist data) and it was soon discovered that IAM had added up a number of percentages to get to 57 percent. The organisation’s press release was thus highly misleading. 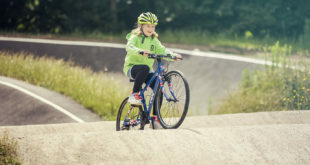 After criticism of the accuracy of the survey from British Cycling, Sustrans, the Bicycle Association and CTC, IAM amended the press release for its website, but did not issue a recall. None of these critiques were mentioned by today’s BBC report. Back in May BikeBiz.com said the 57 percent statistic would never die and would for ever be wheeled out to highlight claims that the majority of cyclists are law breakers. In fact, some cyclists do break the law, just as some motorists break the law. In 2007, a report for Transport for London – based on actual measurement at notorious ‘red light running’ locations – found that 16 percent of cyclists ran reds but that "Violation is not endemic." It’s worth pointing out this figure is for London, not the UK as a whole, whereas IAM’s release was supposed to be about all UK cyclists. "We understand that the validity of the ‘57% of cyclists jump red lights’ figure has been questioned. A breakdown of the figures has shown that only 1.9% confessed to regularly doing so. Another 11.8% did so "sometimes" while 24.6% did "rarely", and 19.1% had done so once or twice. There is also a statistic in the poll where 32% of motorists have admitted to running red lights." IAM did not include the motorist statistic in its press release. The original IAM press release was headlined "More than half of cyclists jump red lights." In May, IAM’s press officer said: "We will of course balance this with a release on car drivers jumping red lights…in the near future." To date the organisation has yet to publish any such press release. The BBC has since responded to this story, saying that their two journalists accurately reported the findings of the survey. 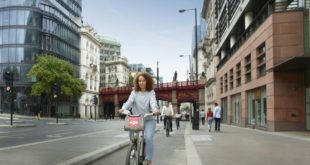 The spokesperson added that BBC understood that the survey results might cause some objections from the cycle community, but that the article is not in any way biased against cyclists. "You’re right to remind us (about the promise of a standalone press release on motorist red light jumping). I’m afraid this must have got lost when our previous press officer moved on. "I can’t say we’ll do this immediately now as we’ll need to look into the issue and see what facts and figures there are, and possibly run another poll. "But I’ll add it to our forward plan of releases and keep you posted." Below is the original IAM press release, as sent out to journalists by email (an amended version was later posted to IAM.org.uk following complaints from BikeBiz). And below that is the strongly worded complaint sent to IAM in May by the Bicycle Association. Fifty-seven per cent of cyclists admit to jumping red lights according to the IAM’s latest poll. The main reason given for jumping lights is because it is safer to get ahead of other traffic (38 per cent do this). At the same time over half (54 per cent) of cyclists think that cyclists should improve their behaviour by sticking to the Highway Code at junctions – poor road layout and junctions were a top concern for half (48 per cent) of the cyclists polled. And 43 per cent said they would be less likely to jump red lights if advanced stop lines were more strongly enforced. IAM chief executive Simon Best said: “Cyclists are right to feel that roads are not cycle friendly enough, and this is reflected in their behaviour. But while poor junction design, inconsistent cycle paths and inconsiderate drivers put cyclists at risk, cyclists also have to help themselves. “Changes to road layouts and junctions can improve safety for cyclists, but no junction will ever be safe for those who continue to jump red lights. It’s dangerous and illegal. 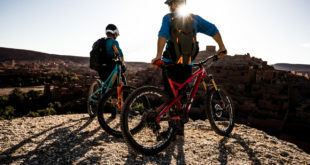 Phillip Darnton, executive director of the Bicycle Association, said the survey had "no statistical significance of any kind at all; it is not representative of the nation as a whole, and yet claims to be a national survey. It is not structured in any way to provide a cross-section of responses by region, by age or by gender." He added: "The idea that a web poll of 1600 people could be the basis of such a conclusion is quite unacceptable. It is doubly unfortunate that the tenor of your release is clearly anti-cyclist; while some statistics are included in the text to provide a modicum of balance the headline is of course the point which will stick in journalists’ minds." Darnton said the release would "further inflame the animosity of motorists towards cyclists and serve only to create more tension between road users." Calling the research "bogus" Darnton said he was at a loss as to what the IAM hoped to gain from the release: "Until now the objective of the IAM has truly been to help create a culture in which we learn that roads belong to everyone – from pushchair to wheelchair. They are not the preserve of any one group, and certainly not motorists. All our endeavours are to train, educate and encourage people to learn how to share roads with respect and courtesy – statistics like this bogus research serve only to do precisely the opposite."